This post is part 4 in a series of articles pointing out what’s cool about some of my favorite Salesforce apps for nonprofits. Previously, I highlighted favorite features in Nonprofit Starter Pack, Click & Pledge and Causeview, now I’m going to talk about my favorite parts of Soapbox Engage. Truth be told, my favorite thing about Soapbox Engage isn’t a technology feature. It’s the company itself. When I was laid off from Blackbaud last summer, one of the first calls I made was to Ryan Ozimek, CEO of PicNet, the company that makes Soapbox Engage. Every time I talk to him, he reminds me why this all matters so much to me. There aren’t enough words to describe my respect for Ryan and the team he’s built and what they’re trying to do, penguins and all. If there was a dictionary definition of an application developer that’s in this market for all the right reasons, it would point to PicNet and call it a day. But let’s talk favorite feature of the software. Soapbox Engage is way to take a stand alone front end for donation and event registration forms and easily get its data to Salesforce…a combination of a platform built on the open source CMS Joomla and Salesforce app. It’s part of the full Nonprofit Soapbox platform that PicNet offers, separated out for those who just want to sync data to Salesforce and don’t need the entire CMS platform. With Soapbox Engage you get an environment to build out your forms that is incredibly easy to work with. I had barely touched Joomla before I started playing with a Soapbox Engage demo, and it took me maybe 30 minutes to learn my way around the basics without any tutorials or guidance. This is ideal for organizations that have to quickly put up or change a form without having to worry about getting a web developer involved. 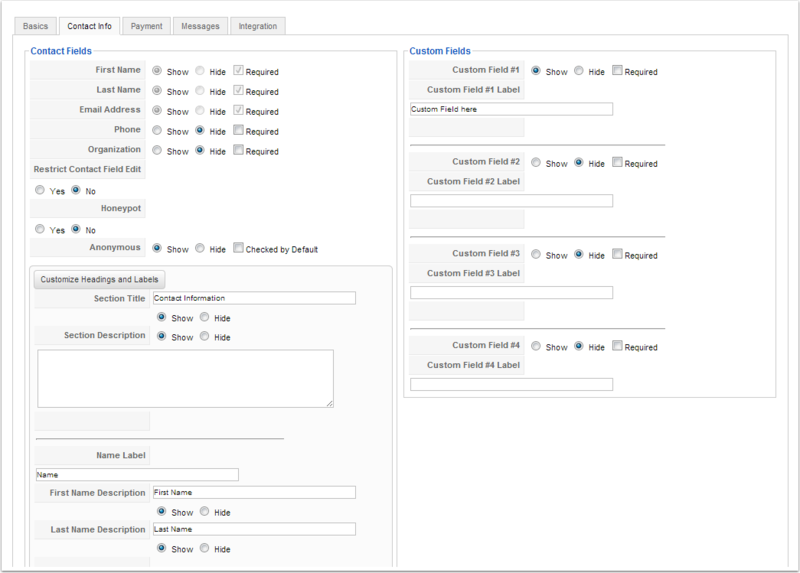 Data from Soapbox Engage forms syncs almost entirely to native Salesforce objects and fields, making it very easy for organizations to customize their Salesforce instance to their needs without their donation form engine getting in the way. 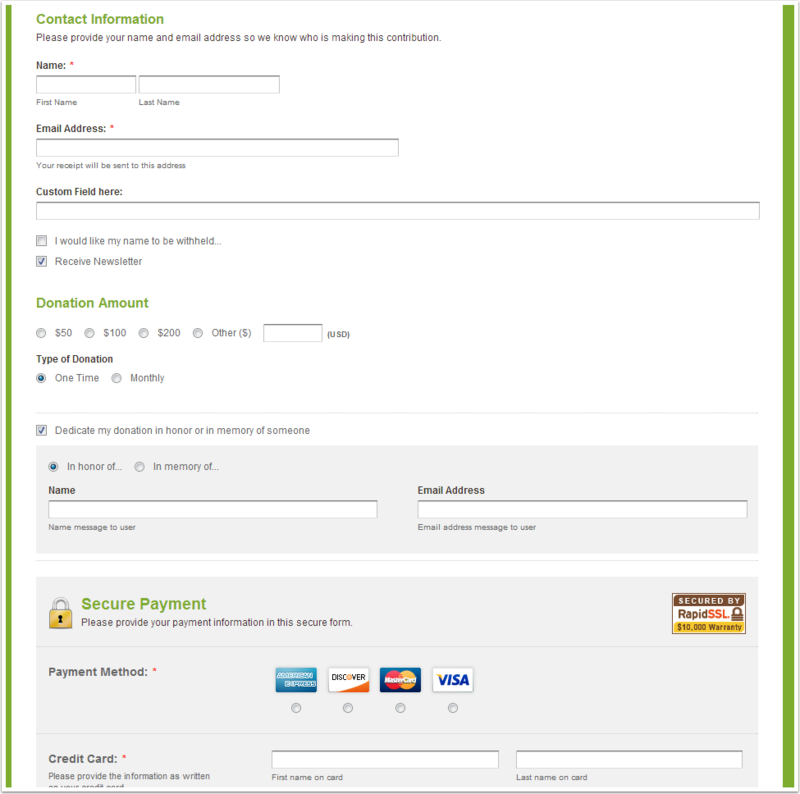 The front end of the forms are clean and uncluttered (PicNet will customize the theme to match an organization’s website/branding for a one-time additional fee). I think this is a solution that will be around for a long time and will keep getting better. Thanks so much for this article, Judi! It couldn’t be higher praise for us than to be known as “an application developer that’s in this market for all the right reasons”. Our first and last priority is serving the nonprofit sector and those looking to rock the world for social good – and it’s a pleasure to be able to work with great folks like you seeking to do the same. In addition to the online donations and events management tools that Soapbox Engage offers, organizations are also able to create custom forms that submit data to Salesforce and searchable directories that pull data from Salesforce to their website. The first is used for contact us forms, job and grant applications, volunteer sign ups, email newsletter sign ups, and more. The second is most commonly used by member organizations for member directories but can be used for location searches by zip, job listings, or whatever else an organization might need to query in their Salesforce instance.